To be used on facades and as plaster for base (foot). For internal walls and ceilings in wet and cold rooms, for manhole covers and concrete walls. For manual plastering one sack of Renofix 20 is mixed with 9 litres of water. The Skure-Tech S4 is used for machine plastering. The area of the walls must be cleaned from dust, waste and grease. 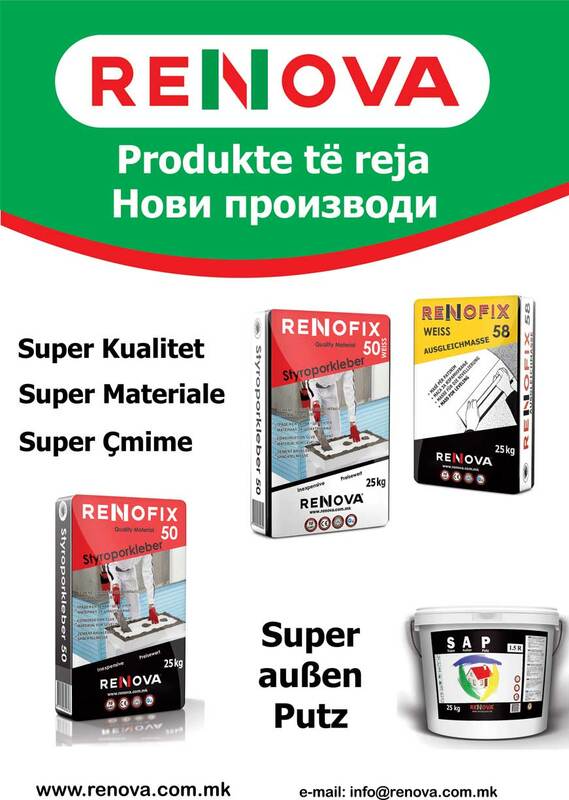 On smooth concrete areas Renofix 5 construction glue must be used as a joint plaster. The minimum thickness is 10 mm. Do not mix with other materials. The minimum functional temperature is 5°C. The product will expire after 6 months. Store in a dry place. Ensure the technical manual is followed.